At our events you can enjoy a fun day out with friends. Join us for a dry aged, on the bone, 1KG Tomahawk steak chargrilled and served with Bernaise, Bordelaise & Thyme Jus. The Bottomless Lunch Weekender comes to 1918 Bistro & Grill, this Easter! Available each day over the Easter long weekend from Good Friday you can enjoy bottomless Prosecco, for $25 for two hours when ordering a main dish from the a la carte menu. 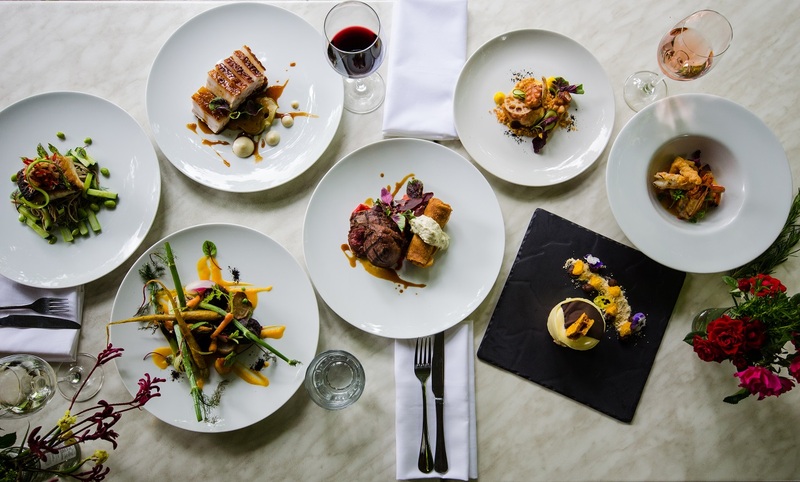 1918 Bistro & Grill is the Barossa Valley’s most iconic restaurant destination renowned for its modern gastronomic menu, with options including the crispy skin duck breast, succulent steaks; and the famous pizza – with locally made salami, mushrooms, truffles or margherita. Booking ahead is advised. Nothing quite gets our stomachs rumbling like delicious street food. For this year’s Parade we’re hitting the streets and serving up food inspired by delicious New Orleans cheap eats. It’s never been easier to enjoy street food in the Barossa Valley. Grab a drink from the garden bar, play a game of bocce with friends or chill out on the veranda listening to some live music. The parade party starts at 11am, Saturday 27 April and you will be able to see the parade pass by right out the front of the restaurant. Mother’s Day isn’t just like any other day. Mums deserve high praise all year round but this day is the ultimate excuse to treat your mum, or the mums in your life, to a lovely time in the Barossa Valley. Take your mum for some wine tastings first, then relax over lunch at 1918 Bistro & Grill. This year, give your mum an unforgettable experience – and finally claim your rightful spot as her favourite child. 1918 Bistro & Grill is set in a 100 year old Barossa stone home. The Great War was drawing to a close when Frederick Carl Gottleib Wallent put the finishing touches to his family home by chiselling the date in the foundation stone by the front door. His son, Morris Wallent, later became the mayor of Tanunda and took over the family home. More than 70 years later in 1992, an enterprising group of locals turned the proud Wallent home into the Barossa’s first bistro grill – a friendly place where Barossa winemakers could entertain their guests and visitors could relax after a hard day’s wine tasting. The owners’ reverence for the building’s history and that of Barossa Valley food and wine seeps into every aspect of their offering. On frosty winter evenings red gum logs still splutter in the original open fireplaces. The SA History Festival 1918 Centennial Taste Menu offers dishes inspired by 100 year old Barossan Recipes. 5 Course Set Menu $80 Food Only and $120 with matching wines. Available daily, bookings are preferred.